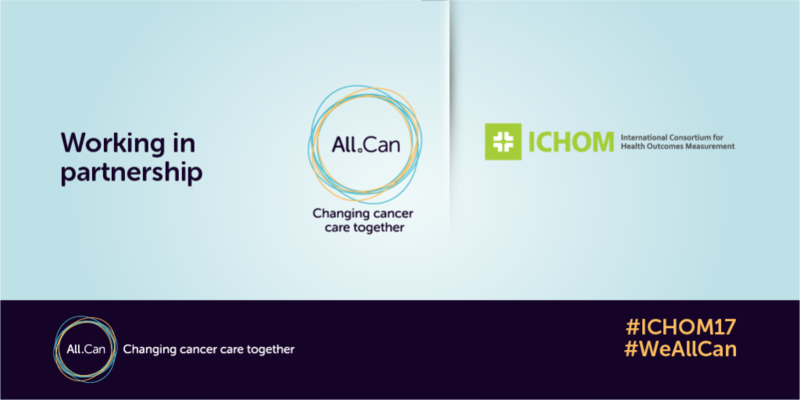 All.Can and the International Consortium for Health Outcomes Measurement (ICHOM) are partnering on a major study on improving value in cancer care. The launch of the study will be announced at the 2017 ICHOM conference. Currently, we don’t have a good grasp on what contributes to better outcomes for patients – let alone how to use resources more efficiently to deliver these outcomes. Yet, without a good understanding of these contributing factors, how can we target efforts to ensure we are delivering the best cancer care? Cancer care is about more than survivorship numbers, it encompasses a vast array of considerations including the patient’s physical, psychological, and emotional journey through the cancer care pathway and beyond. The All.Can/ICHOM study aims to shed light on how we can plan and track a continuous cycle of improvement focused on delivering what matters most to patients with the resources at hand. Use these findings to engage governments and other decision-makers on building on key findings derived from the programme. All.Can is a multidisciplinary initiative that brings together people from all sectors to determine what matters most to cancer patients. It develops policy recommendations that tackle inefficiencies, promote innovation and better allocate resources for sustainable cancer care. ICHOM is a member of All.Can. This joint project is an important example of All.Can’s commitment to creating a multi-stakeholder initiative that works together to create long-term, sustainable cancer care for all. All.Can is in attendance at the ICHOM conference 2017.